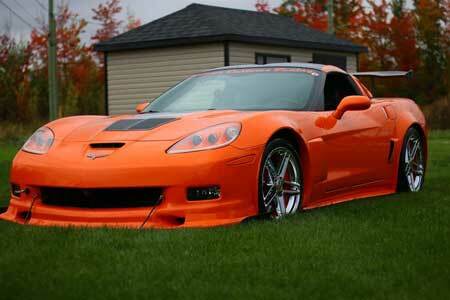 DOMINIQUE GIROUX is a North of the boarder Corvette fan from Drummondville Quebec. 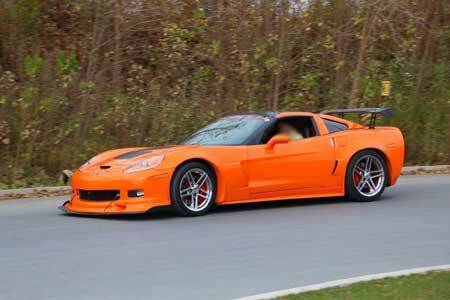 His Orange wide body 2007 C6 is an attention getter that surely warms the up the Northern climate where it resides. 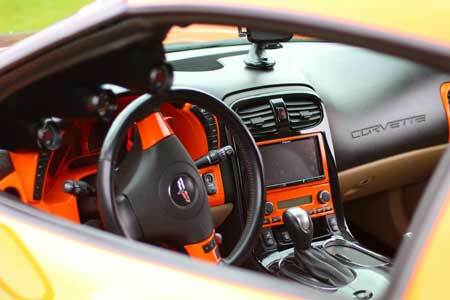 A very beefed up Ls2 block resides under the C6's ominous looking custom hood. 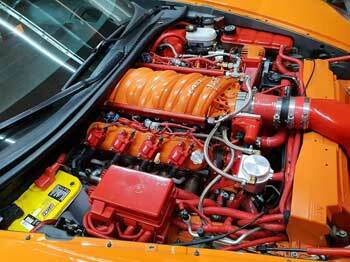 The LS2 was upgraded to a set of LS3 heads and intake, crank, rods, forged, pistons and a set of stainless valves. A Competition Cam, Crower lifters with double behive springs and Manley pushrods, keep the engine spinning. Internal fluids are pushed via a Melling oil pump, and Holley water pump. The hybrid engine breaths through a BBK 4" throttle body, Fast intake and fuel rails. A set of ceramic NKG wires and an MSD coil pass the power to the plugs. The spent gases are routed through a set of Kook's headers. Dominique's Northern beast dynos out at a very respectable 650hp and 580 lbs torque.